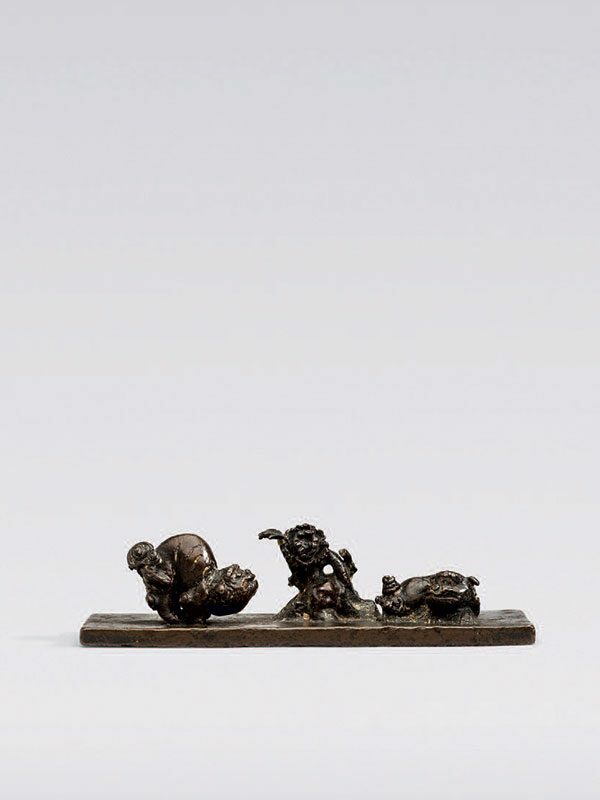 A bronze paperweight, cast as two tiger-like animals to either side of a flower emanating from a tree trunk, all on a rectangular base. The animal to the left of the tree arches its back, as if about to jump. Its features are well detailed and the animal looks up. The animal to the right of the tree is depicted in recumbent position. The bronze has a chocolate patina.